Are you truly satisfied with your lot in life in Toronto? Is this the legacy you want your children to grow up into or are you willing to vote for change? Change the leadership from bureaucracy and politicization to outward looking, streamlined systems and financial prudence for a vibrant future for families in Toronto. 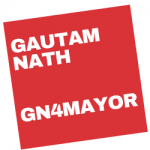 Vote for Gautam Nath for change and you have put power back to the people. The City of Toronto should be managed as a Corporation and the Mayor its CEO. Welcome immigrants and develop meaningful job programs to assimilate them into the city. Evaluate education and medical systems to ensure residents of Toronto are thriving in their communities. I am a global multicultural person, with parents from the Czech Republic and from India, born in Cairo Egypt and having worked, lived or travelled to over 30 countries and over 150 cities across the globe. 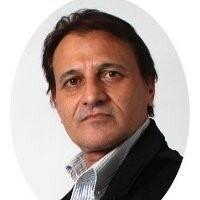 By profession, I am an MBA with a marketing specialization and over 35 years of corporate experience working with large multinational corporations overseas and in Canada. My key strengths include but are not limited to strategic insights, corporate communications, market intelligence, building strong foundations, financial prudence, and human resource management. I believe in the goodness of people and that we all deserve a good environment to live peacefully, grow, contribute and raise a family. Since coming to Canada, I have been working in the field of multicultural marketing and have grown to become one of a handful of multicultural marketing experts in the country. My other passion is in working with people and mentoring them and empowering them to make Canada a better place to live. I have devoted hours, days, weeks, months and years in outreach methods touching the hearts and lives of many individuals, corporations, and agencies. 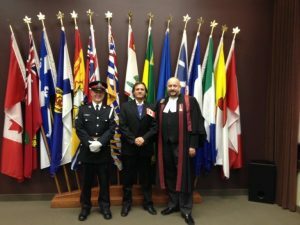 In 2018 I was honored to be awarded Canada’s highest recognition, the Sovereign’s Medal for Volunteers. Creating a vision, mission and value system to ensure Toronto is the best city for all residents.